!! OMG, How Cold-hearted: Dear Abby !! The Alzheimer’s-afflicted creator of “Dear Abby” is being cheated out of hundreds of thousands of dollars by her daughter, her son says. Pauline Phillips, 91, turned her celebrated advice column over to her daughter, Jeanne, in 1995, when the disease was detected. Jeanne’s company agreed to pay Pauline Phillips — a k a Abigail Van Buren — a $350,000-a-year salary for the rest of her life, said Edward Phillips, Pauline’s son. After paying for 10 years, the company “suddenly and inexplicably” stopped, Edward said. He claims in Los Angeles Superior Court that Jeanne’s company now owes $700,000 in payments. Advice-givers, advise thyselves! If only Ann Landers wasn’t dead I’m sure she could come up with a solution to this problem. 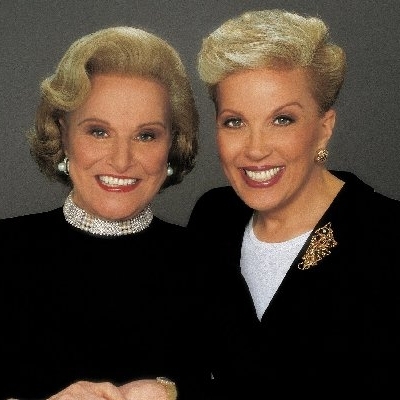 1 Comment on "OMG, How Cold-hearted: Dear Abby"
Jeanne has NOT SCREWED her MOTHER out of any money! As a former hired employee for the family I saw way too much of lies,drama and B.S. from Jeannes Brother,EDWARD and other family members. Jeanne has the RIGHT OF WAY in this matter and Edward knows why!